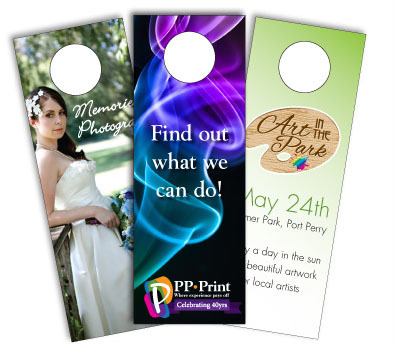 Door hangers/knockers are a cost-effective way to market your business, product or services. Full colour or black and white, they’re easy to distribute and very effective. Hang them on doors so they’re the first thing someone sees when they get home! You can even add your business card to the bottom for easy tear-off.